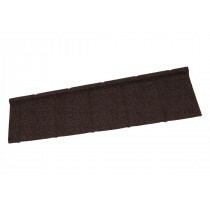 Are you unsure of which low pitch roof tiles are the best choice for you? Are you unsure of which fixings and flashings you’ll need with your low pitch tiles? Speak to our team online via the live in the lower right hand corner or call us on 01295 565 565. They will help you pick the perfect roof tile and will ensure you have all the roofing materials you’ll need for your project. 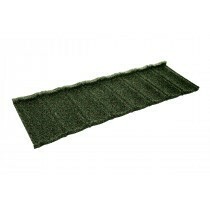 Low pitch roof tiles are purposely crafted for pitches as low as 10°. All the while, these roof tiles do not compromise on durability with many being crafted from a lightweight yet tough metal. Our low pitch roof tiles also offer a wide variety of finishes, including slate effect and granulated. Our range of low pitch roof tiles include those manufactured by Britmet, Tapco and Extralight. Each are recognised for their high quality craftmanship and variety of styles. With the accompanying flashings and fixings available too, you’re able to achieve a clean, modern finish. 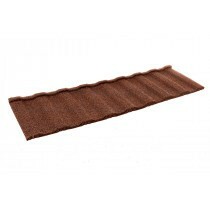 Have Questions About Our Low Pitch Roof Tiles? If you have questions about our range of low pitch roof tiles, speak to our team by telephone or via the online live chat. With over 40 years of experience in roofing, we’ll help answer your questions about roof tiles. We will also help you pick the necessary fixings and flashings for your project. Buying roofing materials can be daunting, especially when ordering them online. With over 40 years of experience in roofing, however, we get asked lots of questions about our growing range of low pitch roof tiles. Here are some of the most common questions with answers for each! 'Pitch' is the steepness of your roof between the eaves and apex. This is commonly displayed as an angle, such as 10°, and will impact which roof tiles you can use and how you are required to fit them. Why Does My Pitch Impact Which Tiles I Can Use? The flow of rain water is reduced on a low pitched roofs. This increases the liklihood of capillary action, in which water finds its way into narrow spaces such as the gaps between your roof tiles. Only some roof tiles have been tested and proven to withstand this. Some may also require you to follow different fitting methods on low pitched roofs, such as increasing the headlap. What is Considered a 'Low Pitch'? The majority of roofs will have a pitch between 18° and 26°. Roofs with a pitch of 14° of less can be considered to have a 'low pitch'. If your roof pitch is below 9°, you will likely be unable to use a roof tile and will instead need to use a low pitch roofing sheet. Why Are Low Pitch Roof Tiles Either Metal or Plastic? Heavy roof tiles, such as concrete or slate, often require a pitch of 25° or more. It is only lightweight materials that are suitable on low pitched roofing projects. Metal and plastic roof tiles remain lightweight whilst offering maximum durability of 40+ years in many cases. If you have more questions about our low pitch roof tiles, speak to our team online or by telephone. With over 40 years of experience in roofing, we'll help answer your questions and will ensure you have everything you'll need to complete your roofing project.